This balloon has a unique 3-D Effect. The "boy" is one balloon and the giant star is another balloon. Welcome the new baby bow with his first Winnie the Pooh Balloon. 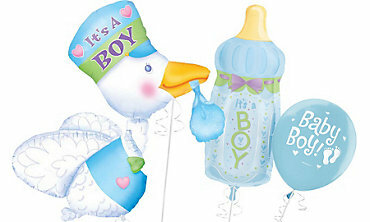 $14.95	Welcome Baby Bottle - Blue - 39"
This new baby boy celebration balloon is 39" long.